Inauguration of New Administrative Building of C.P. Mumbai at Crawford Market, Mumbai. Inauguration of New Administrative Building for C. P. Mumbai at Crawford Market has been done by Hon. 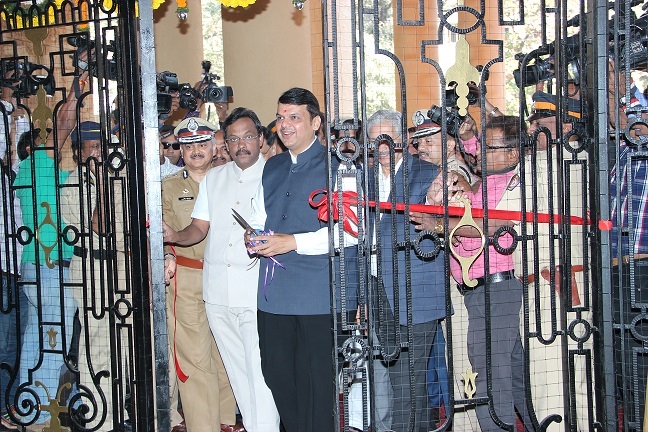 Shri Devendra Fadnavis, Chief Minister of Maharashtra State on 28/12/2015. Shri. Himanshu Roy, Addl. Director General of Police & Jt. Managing Director of MSPH & WC Ltd. and other.